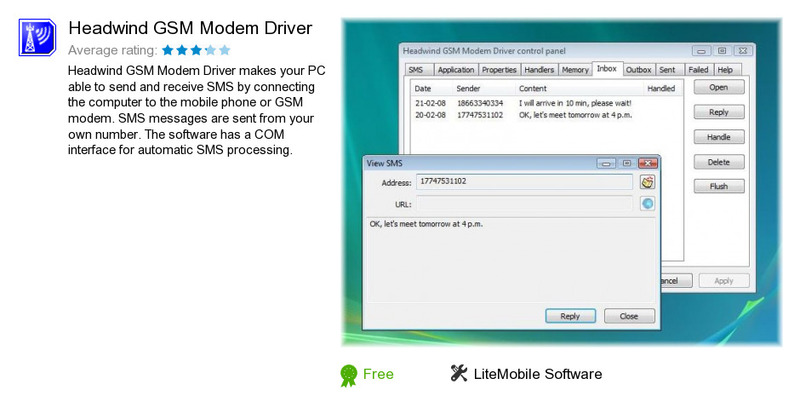 Headwind GSM Modem Driver is a product developed by LiteMobile Software. We know of versions 4.2, 4.0, 3.2, 2.2. Version 4.2 is available for free download at our site. Headwind GSM Modem Driver installation file has a size of 2,507,962 bytes. LiteMobile Software also publishes Headwind SMS Outlook Add-In.